Note: the Code is undergoing revision and updates March 2012. Please contact the Guild if you have any questions. The policy mission of the Natural Perfumers Guild (NPG) is to exalt and encourage the use of natural botanicals and aromatics in perfume, toiletries and environmental fragrancing. All items found hereafter shall be in keeping with the set policy and code. Certified Natural Perfumer: has created and packaged perfume(s) which meet or surpass the quality standards of scent and aesthetics in packaging. All perfumes and fragranced products must contain only aromatics obtained from natural sources as defined by the Guild. Please see the Definitions page for more information. Associate, Associate Perfumer: creates body, home or environmental products scented with natural aromatics; or, writes and/or publishes about natural perfumery or provides a service that is advantageous to the industry. Perfumers who use mostly naturals with some synthetics may join the Guild as Associate Perfumers. Supplier: sells equipment and raw materials related to natural perfumery. Friend: has an interest in the use of natural botanicals in perfume and toiletries, and does not have a related business. If you do have a related business, please apply under Associate, Supplier, or Certified Natural Perfumer. Eligibility for membership: A member shall be admitted upon submission of a completed membership application and payment of annual membership dues. All perfumes and fragranced products must contain only aromatics obtained from natural sources. Please see the Definitions page for more details. The applicant must submit a list of aromatics used in the perfumes and the supplier of those aromatics. The list is reviewed by the Guild, and feedback is given to the applicant if some of the products or suppliers need further clarification or verification. This information is kept confidential, and is necessary for government recognition as a natural perfume. New products developed after acceptance into the NPG must be submitted to the Guild President within two months of launch. Like the original submittals, they will be housed in the Guild Scent Library for promotional and historical purposes..
All NPG Professional Perfumers are required to have a reciprocal link to http://naturalperfumers.com on their website. The annual membership fee is $125 or $200, based on number of employees. Once notified of acceptance into the Guild as a Professional Perfumer, payment may be made via the Payment link. Non-refundable membership fee is $125 or $200, based on number of employees. Applicants must supply the Guild president with a reasonable sample of their products. This may be negotiable, depending upon number of products. 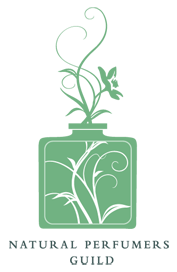 Associates may use aromachemicals other than naturals in their products, but cannot display the Guild logo on that (those) pages. NPG Associates are required to have a reciprocal link to http://naturalperfumers.com on their website. See the section above for the mailing address to send representative samples of your products to for the Guild Library. Membership fee may be submitted here. Applicants must supply the Guild president with a representative sample of products. This may be negotiable, depending upon number of products. NPG Suppliers are required to have a reciprocal link to http://naturalperfumers.com on their website.Membership fee may be submitted here. Non-refundable membership fee is $150 or $200, based on number of employees..
Friends of the Guild enjoy the benefits of the community and uphold the Mission of the Guild. Anyone who loves natural aromatics and wishes to join a like-minded community is welcome. NPG Friends are not required to have a link to http://naturalperfumers.com on their website. Friends may not display the logo on their website. Friends are not to offer perfumes for sale. Membership fee may be submitted here. Logo: The Guild shall have the sole right to completely control the use of the Logo, and such Trademarks or other Indicia as the NPG may adopt. Guild Perfumers, Associates and Suppliers may use the NPG logo on their websites, stationary, stickers and natural perfumery-related projects with the exception of any page (pages) that may show products that are not made with 100% natural aromatics. Links to photo-ready images are available to Guild members upon request. Please be aware that the Natural Perfumers Guild has at its core a policy of acceptance and openness to the members' ideas, ideals and personal and professional goals. If there are what are deemed sanctionable offenses as found in Section VI, listed below know that we will strive to resolve the issue in an open and sensible manner. We do not wish to sanction anyone, but if necessary, we address issues of professional and personal conduct. A. Only NPG Members with Endorsed Teacher status are permitted to teach natural perfumery classes as defined by the Guild. Endorsed teachers are strongly encouraged to use the Guild syllabus when teaching. The Guild shall not be involved in any disputes between teacher and student, if they should arise. B. Use of synthetics in NPG perfumers products is not permitted. Failure to comply means suspension of membership in the Guild. Other members of the Guild, such as Associates, may use non-natural aromatics, but cannot display the Guild logo on those webpages. C. Verbally slandering other NPG members, either on-line or in person, is means for suspension from the Guild. Libelous materials will also incur this sanction. D. Failure to send one (1) ml samples of new perfume by Professional Perfumersto the NPG Scent Library within two months of launch will result in suspension from the Guild. E. Failure to pay dues and fees within thirty days of member’s renewal due date will result in cancellation of Guild membership and former member shall remove the Guild logo from website or printed materials. F. Mediation: Suspension or Termination of Membership. The Guild has the power to suspend or terminate members for non-payment of dues; and to reprimand, to suspend, or to expel members in accordance with the Guild Code of Conduct or violation of these Guidelines. Upon suspension, the member may call the Oversight Committee into session and appeal the suspension. Grievances may go to mediation with the Oversight Committee. After one month of mediation for any grievances, the final decision is considered binding to all parties. G. Removal of the logo must occur within 72 hours of a member leaving the Guild. H. Resignation: Any member desiring to resign from the NPG shall present resignation in writing to the President. Any member who resigns or otherwise withdraws, voluntarily or involuntarily, from the NPG shall cease to have any interest in the activities of the NPG and shall not be entitled to any refunds of any type. I. Reinstatement. Any member who resigned and whose resignation was accepted shall be granted reinstatement upon application accompanied by current dues and approval upon a 2/3 vote of the Oversight Committee. The Guild is committed to leaving a carbon-neutral footprint and encourages members to make eco-friendly choices to the best of their ability. Whenever possible, sourcing and production shall be done as close as possible to the member’s location, and all waste and unusable materials shall be recycled as much as possible. This code of conduct is written to guide our Members in their professional practice in a way that ensures a balance between the needs of our Members, our customers, our profession and our community. Our code of ethics not only recognizes our professional responsibility but also our commitment to maintaining the highest ethical standards in our practice of natural perfumery. 1. Use only natural and botanical ingredients in the production of perfume and scented products. 2. Adhere to all production standards as established by the authorized governmental body in his/her country. 3. Provide product safety information upon request. 4. Provide all new products to NPG for scent library. 5. Provide transparency regarding raw materials of products by labeling according to FDA and INCI standards. To promote education among consumers, full INCI declarations as to naturalness of materials shall be on label. Members will be provided INCI templates and links to FDA labeling requirements. 1. Encourage open and honest dialog among members. 2. Maintain a high level of courtesy, kindness and respect among members. 3. Respect the need for confidentiality related to proprietary information. 4. Create an atmosphere of harmony, encouragement and good-will among members. 1. Represent products, services, terms and conditions clearly and accurately. 2. Refrain from sharing confidential information without authorization/permission from the member involved. 3. Respond to inquiries and complaints in a timely manner. 1. In order to teach natural perfumery classes, NPG members must have completed and passed Guild-endorsed NP classes: Levels I and II, preferably through Level III or have by reason of extensive education and experience have shown that they understand the concepts and practice of perfumery and can communicate same effectively. Only Professional Perfumers may teach. Exceptions may be made on a case-by-case basis. 2. Guild members who are not Professional Perfumers may present natural perfumes to the public in a showcase. Exhibits of such perfumes will be for educational and promotional purposes and this exhibit will in no way be conducted as a class. The Guild will provide a sample syllabus for this class upon request.